A wounder full trip along the famous Karakorum Highway to Gilgit and Hunza valley where you can experience the true local experience. A trip of life time. 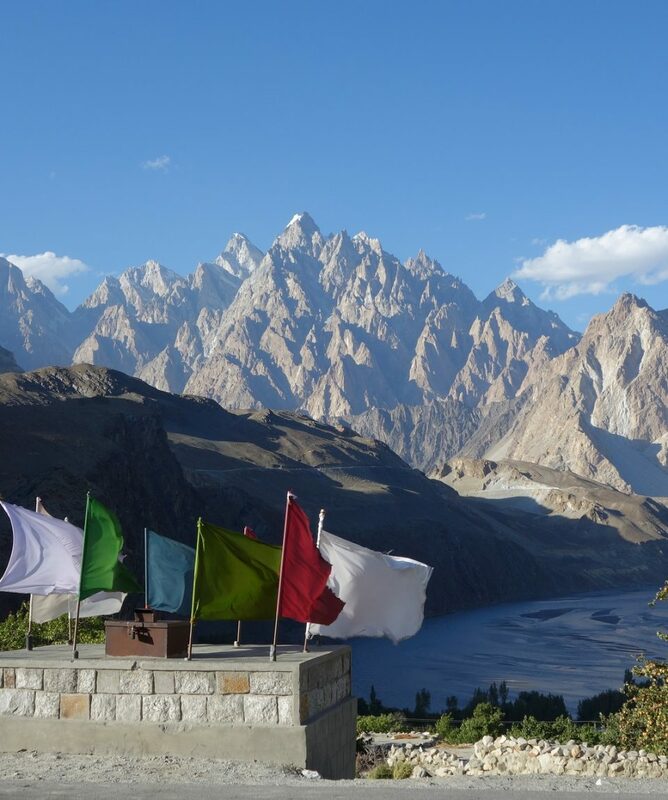 All about the Classic Karakoram and Hunza valley. 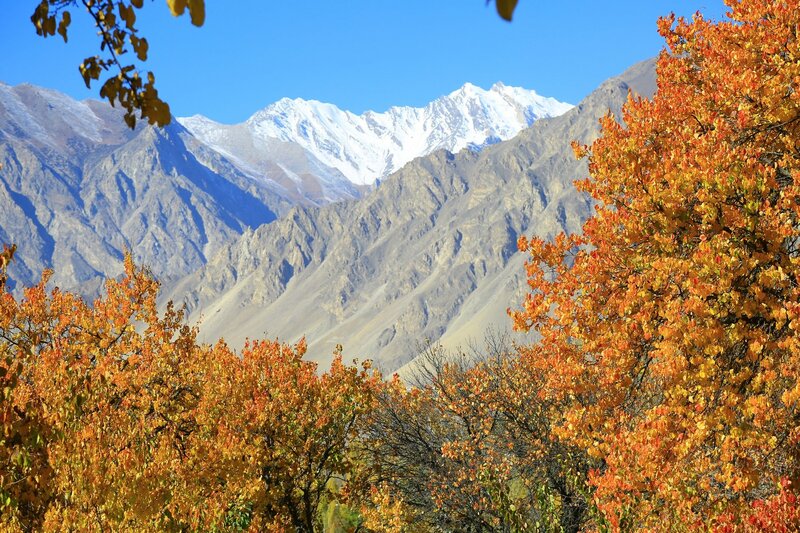 This amazing tour goes along the famous Karakorum Highway to the beautiful Hunza valley. On arrival at Islamabad International airport, you will be greeted by our guide later transfer to your hotel. In the afternoon city tour of Islamabad followed by the Damn-E-Koh (view point), which gives us a panoramic view of Islamabad before driving past various modern streets and buildings graceful with a touch of Islamic Architecture & Folk Heritage Museum. 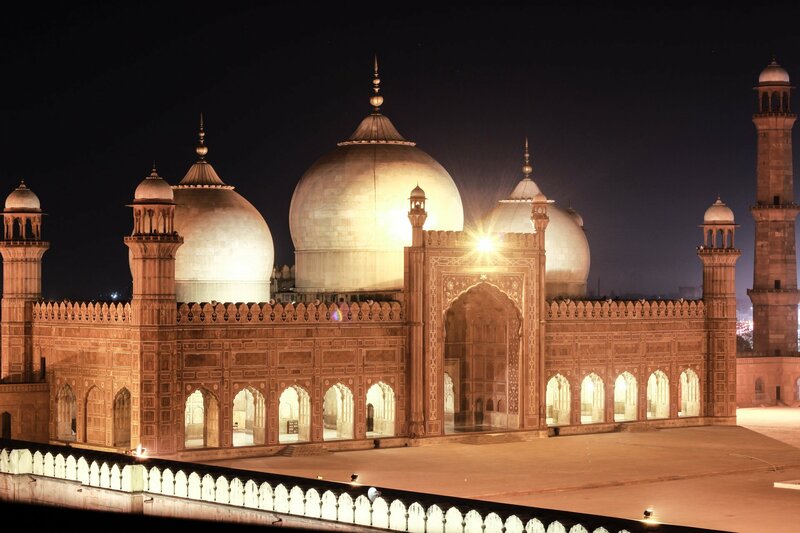 Our tour culminates at one of the world’s largest mosque – Shah Faisal Mosque. Drive along the Karakorum highway to Gilgit, En-route we will have few stops, our first stop will be at Chilas, rock carving which is dated back between 5000 and 1000 BC, showing single animals, triangular men and hunting scenes in which the animals sometimes are larger than the hunters. These carvings were packed into the rocks with stone tools and are covered with a thick patina that proves their age. Our next stop is the The Junction Point of 3 Greatest Mountain Ranges of the World, Pakistan. 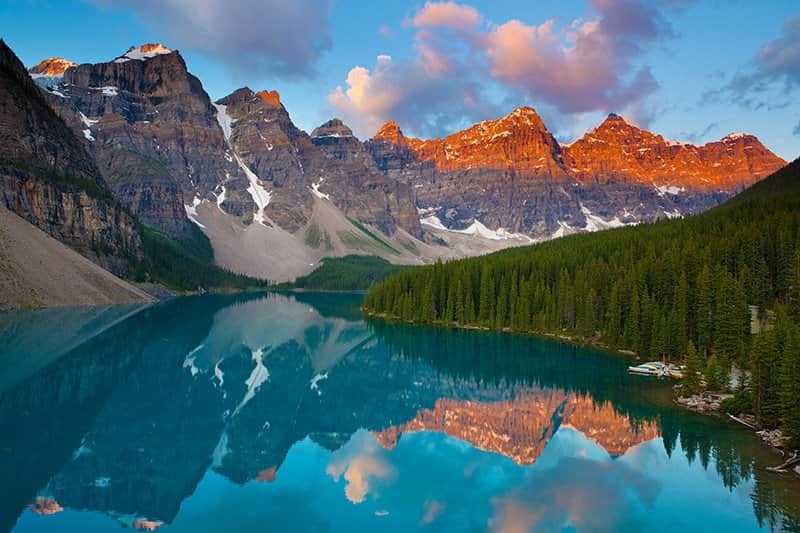 This place of interest is the unique venue where three great mountain ranges of world make a knot. Himalayas, Karakoram and Hindu Kush, with their famous highest peaks [in Pakistan, and top 2, 3, & 4th in the entire world], Nanga Parbat, K-2 and Tirich Mir, meet here and at almost on same place River Indus, flowing down from lofty mountains of Skardu, joins with river Gilgit, one its main tributaries. Continue driving to capital city of Gilgit Baltistan. 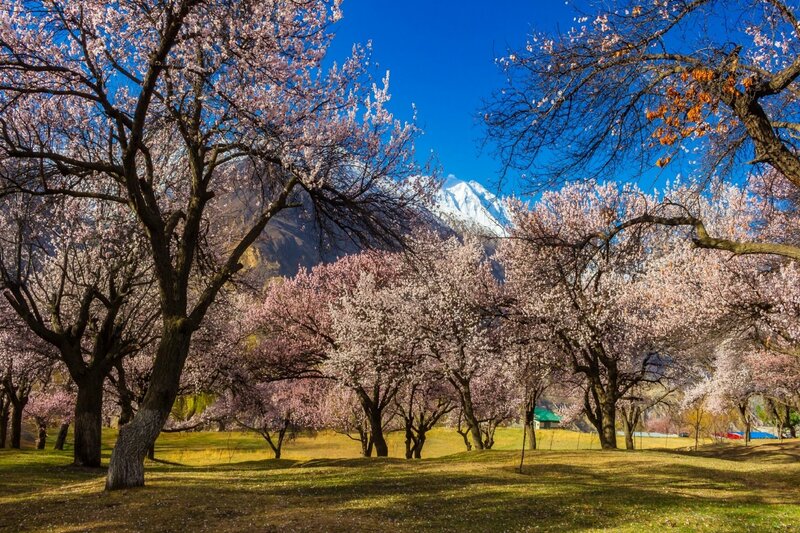 Gilgit the administrative capital of Gilgit Baltistan and, perhaps, the most spectacular region of Pakistan in terms of its geography and scenic beauty. Here world’s three mightiest mountain ranges: the Karakoram, the Hindu Kush and the Himalayas – meet. The whole of Gilgit Baltistan is like a paradise for mountaineers, trekkers and adventure lovers. 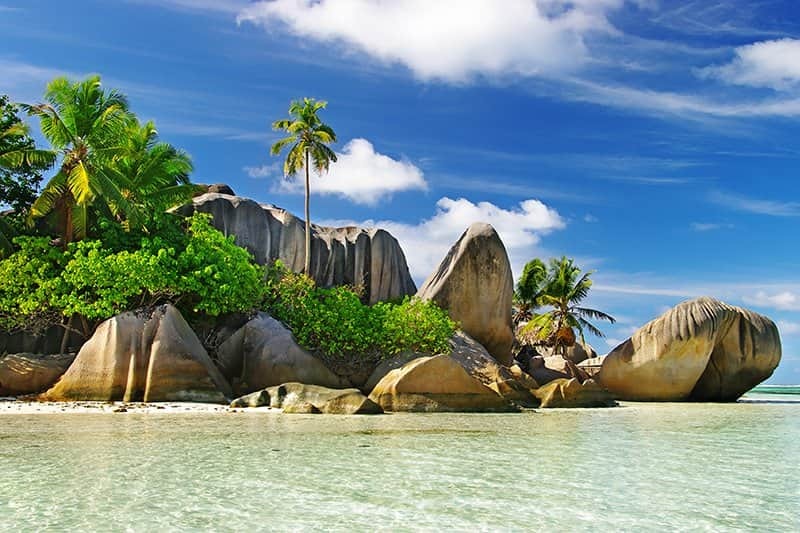 The region has a rich cultural heritage and variety of rare fauna and flora. Historically, the area have remained a flash point of political and military rivalries amongst the Russian, British and Chinese empires. Immediately after the end of British rule in the sub-continent in 1947, the people of this region decided to join Pakistan through a popular local revolt against the government of Maharaja of Kashmir. Early morning wakeup for sunrise enjoy stunning view of surrounding Mountains, enjoy the stunning sunrise over the snow-capped mountains of Ultar (7388m), Rakaposhi (7788m) and Diran (7266m). Optional hike up toward Ultar glacier base camp. After breakfast return down to Altit village to visit Altit fort, Altit Fort is a spectacularly sited defensive work overlooking the Hunza river valley in Gilgit-Baltistan. Altit Fort was the first of these strongholds to be built with Altit Khun and the Fort being renowned as the original capital and birthplace of Hunza. However later as a result of a conflict between the two sons of the Mir of Hunza, Shah Abbas and Ali Khan, they shifted the capital to Baltit Fort. Ayasho II, Tham / Mir of Hunza in the early 15th Century married Princess Shah Khatoon from Baltistan. As part of her dowry she brought with her architects and tradesman from Kashmir and Tibet. At the time Baltistan (previously known as ‘Little Tibet’) had very strong cultural and ethnical relations with Ladakh in Northern India. The structure of Altit Fort was therefore influenced by the Ladakhi/Tibetan architecture, resembling elements of the Potala Palace in Lhasa, Tibet. Altit Fort was originally built as a palace, yet some time after its construction, in 1548 A.D a defensive watch tower was added transforming it into a fort. It is believed that the Fort was built in 6 different phases making the most of the various different levels of natural rock from the very high cliff top it is positioned on. Altit Fort was surrounded by the settlement of Altit Khun, once a bustling town for traders and caravans travelling along the Silk Route. The historic village forms an integral part of the core cultural enclave of Hunza. In the aftermath of far reaching socio-political changes in and since 1972 the Fort lost its glory of being the centre of traditional cultural festivals and village life. After this time the ruling family no longer had the power to collect taxes to support the up keep of the fort and it was abandoned and left to deteriorate. In the late 1990’s a prince of the former ruling family of Hunza donated Altit Fort to the Aga Khan Foundation who through the Aga Khan Cultural Services, Pakistan spent the arduous task of restoring and rehabilitating both the fort and the surrounding settlement of Altit Khun. In 2007 the Fort opened as a tourist museum and culture centre for the community. Later visit Baltit Fort which is 700 years, but there have been rebuilds and alterations over the centuries. In the 16th century the Mir (King) married a princess from Baltistan who brought master Balti craftsmen to renovate the building as part of her dowry. The architectural style is a clear indication of Tibetan influence in Baltistan at the time. 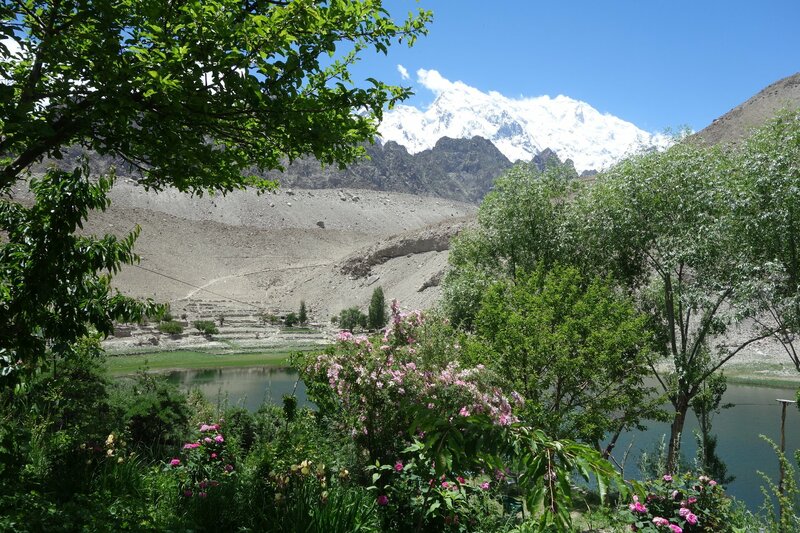 In the morning we drive to Borith Lake, our first stop will Ganish village we visit the world heritage site Ali Gohar’s old house, next we will do a side trip to Hopper valley which can be seen from Duiker is on the opposite, eastern side of the Hunza River. This is another fertile valley and is predominantly Shia Muslim. This is one of the world’s fastest moving glaciers at Hoper. Later drive to upper Hunza Gojal, we will stop by Atta Abad Lake for photography, afternoon drive to hike toward the Passu glacier view point. 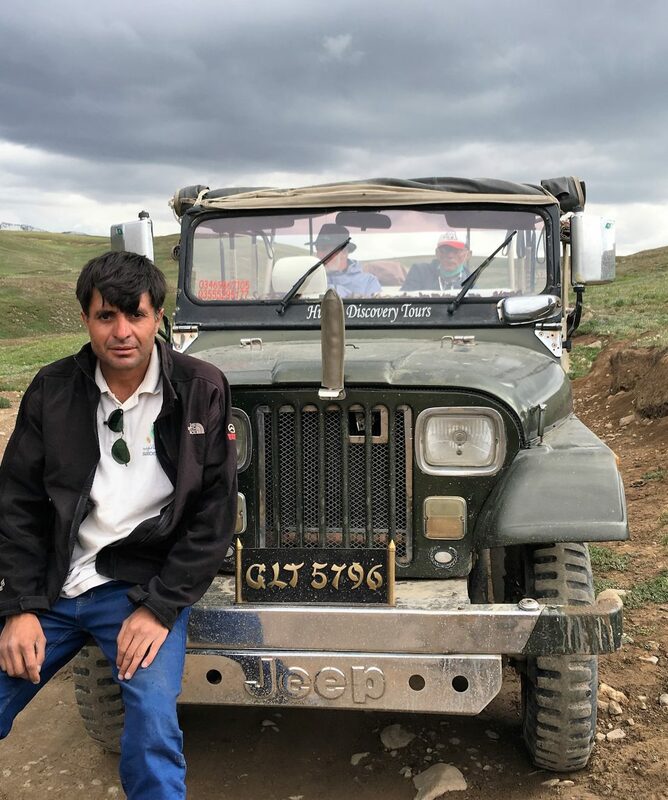 Today you will be driving to the highest paved international border crossing in the world and the highest point on the Karakoram Highway Khunjerab pass (4750 M). Along the way you will be able to see some wildlife at Khunjerab national park. After picnic lunch return to Borith Lake en-route we stop at small villages, Sost, Khyber and Passu. After fresh up short drive to Ghulkin village where you will be invited to local home for family dinner. Later drive to Borith Lake.